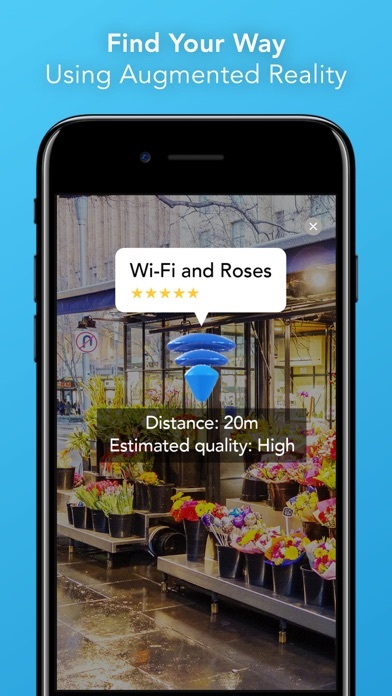 Beautifully simple and surprisingly fun, World Wi-Fi lets you find and securely connect to millions of Wi-Fi hotspots around the world. Getting online when you are travelling can be tricky. First, hotspots can be hard to find - especially when you’re in an unfamiliar city. Next, there’s the hassle of waiting for a form so you can get online. Finally, there’s the question - is your data safe? 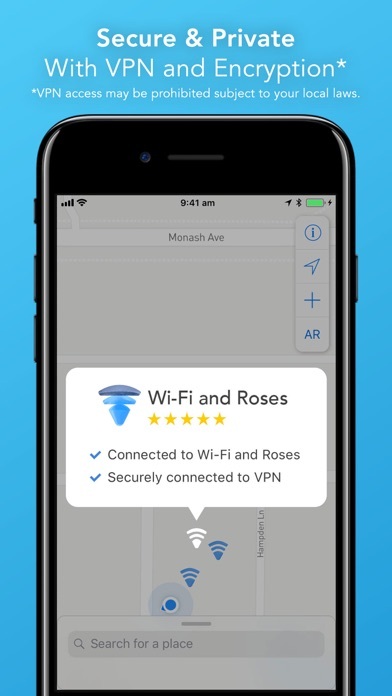 World Wi-Fi is designed to solve these three problems - Find, Connect and Secure - helping you quickly and safely get online away from home. 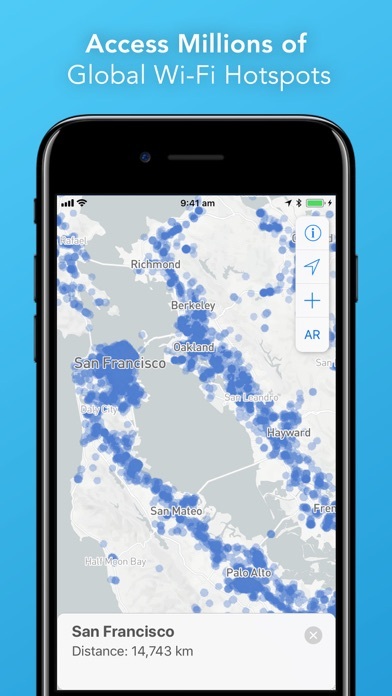 FIND Map View: Bright and clear under all lighting conditions, our beautiful maps give you a bird's-eye view of locally available hotspots. 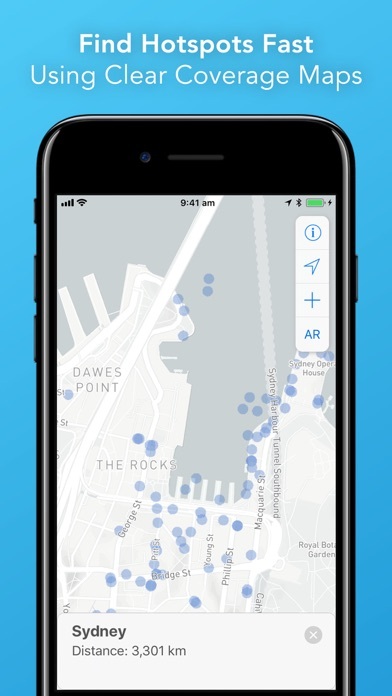 AR View: For the first time, see exactly where hotspots are using World Wi-Fi’s Augmented Reality (AR) viewer. Using your phone camera, the App displays available hotspots in the real world - just walk towards the Wi-Fi. Offline Maps: Download light-weight offline maps before you travel so you can always find your way to get online. 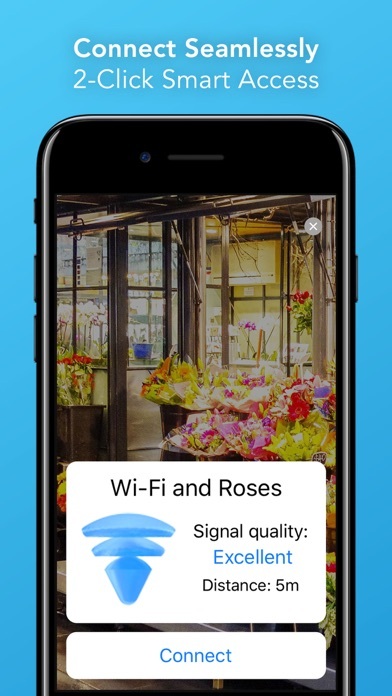 CONNECT Quick Connect: Effortlessly connect to Wi-Fi inside the App! When in range of available Wi-Fi, you’ll receive an instant prompt to connect. A few clicks and you’re online. SECURE Protected Access: Secure your identity and browsing activity on every Wi-Fi connection. Your own Virtual Private Network (VPN) encrypts your data and protects you from snooping. * Credit Card Not Required: Pay for the World Wi-Fi service once securely within the App using your iTunes account. * Note - VPN connections are not allowed in some countries. The App will not connect via VPN if prohibited by local laws.